This item fits most BMW with 68mm hub wheel rim center. BMW fit for BMW 1 Series (E82,E88) 128i 2006, 2007, 2008, 2009, 2010, 2011, 2012. BMW 1 Series (E82,E88) 135i 2006, 2007, 2008, 2009, 2010, 2011, 2012. Material ABS Matte Black. Goods should be in good condition. Mini tyre gauge which is convenient to bring and operate. The dial is surrounded by a protective rubber guard in case the unit is dropped. The push button valve bleeds air to desired tire pressure. We will reply you ASAP. LED Wheel Tyre Tire Air Valve Stem Cap Light. 4 LED lights assembled on wheel air cap. LED auto turn on when moving, auto shining with no switch. With light & motion sensors, more energy-saving. Light Color: Blue/Red/RGB,we'll send it randomly! Super cool aluminium alloy valve cap. Color: Red. Quantity: 4PCS. Fits for Benz A160 A180 B200 C180 C200 C260 C300 E260 E260L E300 E300L E350. 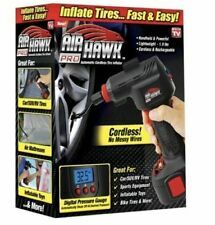 Essential for Vehicles with Tubeless Tires. Needle Tool allows Tyre Rubber Strip insertion. 1x Needle Tool. This Rasper Tool allows Tire hole widening and cleaning. We are wholesaler of Auto Parts in China.Our mainly categories are TPMS sensor,Car Bulb,oxygen sensor,Spark Plug ,Bumper,Fender,Spoiler,Grilles etc. Cap Length : Approx 11.8mm. Car Parts & Accessories. Sleeves Cover Length: Approx 20mm. We would highly appreciate the chance to follow up with you if needed. Due to the difference between different monitors, the picture may not reflect the actual color of the item. 4 Led lights assembled on wheel air cap. Auto shining with no switch, 100% waterproof. LED auto turn on when moving. More energy-efficient,with light & motion sensors. Color: Red. Unique stylish design. It also can add a luxury and fashionable look to your car. • 4 x Car Wheel Center Hub Cap Stickers. • TPMS Tire Pressure Sensor x 4. Consult your owner's manual to see what procedure is required for your particular vehicle when installing new TPMS. Designed to communicate perfectly with your vehicle’s TPMS Module. Color : Black. We can work together to resolve any dispute. Goods should be in good condition. Trending at C $8.99eBay determines this price through a machine-learned model of the product's sale prices within the last 90 days. 4pcs High Quality Car-styling Case Tire Valve Core Cap Aluminum and Leather. 4 Tire valve core cap. M Logo Wrench Key Ring Tire Valve Bonnet. Type:Valve Cap. 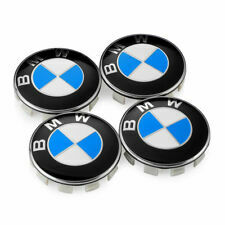 For BMW E46 F10 F20 F21 F21 F23 X1 X5 X6 F45 E90 E6. May be a little dusty from storage use and have few minor scratches. If the gauge is not operated for 60 seconds, it will power off automatically. Or you can press ON key for 3 seconds to turn off the gauge. Place the nozzle of the gauge onto tire valve. Press tightly, and make sure no hissing sound can be heard. 2012-2014 Volkswagen Beetle. 2009-2014 Volkswagen CC. 2007-2011 Volkswagen EOS. 2006-2014 Volkswagen GTI. 1995-2014 Volkswagen Golf. 2010-2013 Volkswagen Golf Sports Wagon. 1996-2014 Volkswagen Jetta. Tire Pressure Monitor Valve Stem Cap Sensor Indicator 3 Color Eye Alert New. Visually alerts you when the tire pressure is low to help avoid premature tire wear or blowouts from under-inflated tires. Fit on any standard size existing tire valve stem. Perfect for car decoration, improve the appearance of your vehicle. 2007-2010 Honda Odyssey 16". 2002-2004 Honda Odyssey 16". 2001-2005 Honda Civic 14". 2005 Honda Pilot 16". 2003-2004 Honda Pilot 16". 2003-2005 Honda Civic 15". 2004-2005 Honda Civic 15". 2003-2005 Honda Pilot 16". Solve any problems with you in friendly way after communication. Quantity:4 PCS.